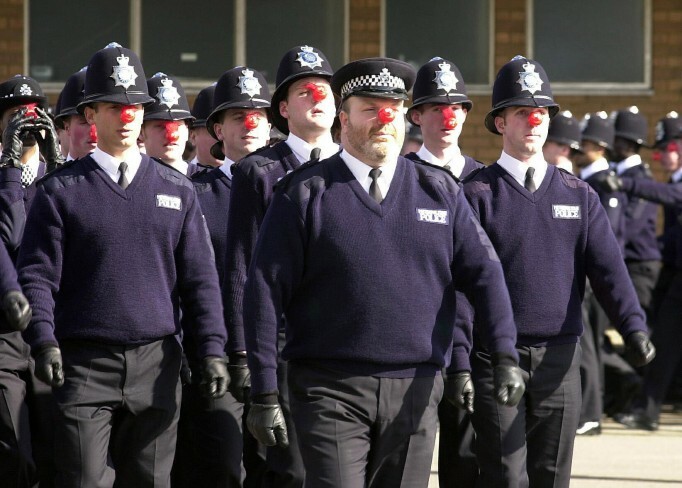 The first Red Nose Day was held on this day in 1988, as an extension of the hugely successful Comic Relief. Members of the public were encouraged to go mad for charity, and they didn’t need asking twice. Red noses were donned in schools, colleges and workplaces the length and breadth of the UK, and students and colleagues competed with one another to dream up ever more zany antics. More recently, politicians have taken part, as when David Cameron appeared with the Goodies in a special 'Hug a Goodie' sketch for the BBC telethon (parodying his famous 'hug a hoodie' remarks). The most successful Comic Relief fundraising single was Livin' da Dreem, performed by James Corden, Matt Lucas, David Walliams, Lenny Henry and Dizzee Rascal. I was on a bus the other day when a group of teenage boys got on holding cans of beer. They were boisterous and loud, and began to annoy the other passengers with their foul language and distasteful conversation. One of them lit a cigarette, in contravention of the prominent ‘No Smoking’ signs. At the next stop, three large men with tattoos and shaved heads got on and started to glare in their direction. I fully expected some sort of confrontation, and sure enough, one of them went over to the boys. The whole bus fell silent.